In an effort to quickly expand their email marketing program many companies often turn to purchased lists. This is a highly discouraged practice as purchased lists can include nonexistent, invalid, or spam-trap email addresses. More than that, messages sent to purchased lists can generate a high rate of spam complaints which can hurt your sending reputation. So how do you get new subscribers? How do you keep them? Here are a few basic steps you can take to build a solid, engaged email list. 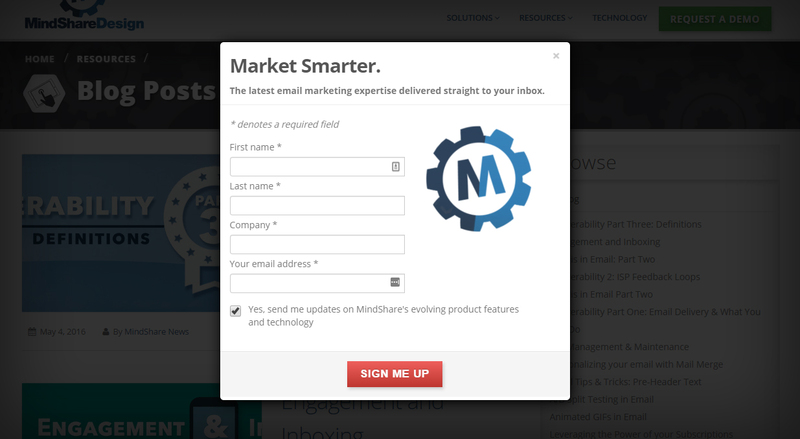 Use a signup form (on your website or a paper form) where new users can agree to opt-in to your mailing list. Make sure to clearly state the frequency and nature of the messages they are singing up to, and how you intend to use their information. You should also take the necessary precautions to keep this information safe and secure. A good way to incentivize new users to sign up is to offer free shipping, a gift, store credit, or free consulting time when they sign up. If you're more newsletter based, show your potential new user the stories and valuable information they'll be missing on without a subscription. Some users may be reluctant to give personal details away, but that's ok. You definitely don't want to scare potential new signups away with an intimidating form. Try instead to use questions that can say a lot about your new signup without appearing too invasive. For example, instead of asking for a full address, a zip code can go a long way. You can also provide a small checklist of the preferred topics your new signup would rather hear about for a more personalized experience. A successful email marketing program utilizes more than just a name and email address to engage its audience. But what if your users didn't provide much information during the signup process? That's ok because you can still look into your list's behavior based on their opens and clicks. Dive into the sending metrics to see which content generated the most opens. Which links are most clicked on and who is clicking on them. Use this information to generate sub-lists or tagging fields for your database. For databases that have more information to start with, you can cross check behavior with given information. For example: how many people in a certain region clicked on a specific link? You can use that information to target local events or sales. You can also identify negatives in your marketing program (messages with least opens, least clicks, most unsubscribes) and adjust your newsletters accordingly. It's important to remember that this should be an ongoing monitoring process, especially for new email list programs. Your email list may exhibit behavior that is temporary or seasonal, so it's important to be able to adjust your strategy based on the latest behavioral assessment, and use this for future planning. You can always try to get to know your audience a little better by asking them directly for feedback through a survey. Make sure the survey can be completed within a reasonable amount of time (5-10 minutes is a good place to start), and preferably contains simple answers or multiple choice questions. After all, you will be reviewing these. The easier you can quantify this feedback the more focused your strategic response to the data can be. An exit survey on an unsubscribe form can also give you more information, even if that specific user will no longer be on the database. Besides preventing a click on the "Mark as Spam" button, this is another reason why an easy to find unsubscribe link and process is essential. Ask a couple of multiple choice questions on why the user decided to unsubscribe and what could have been done differently to keep them around. Remember to keep it short and simple, and thank the user for having signed up. Not all partings are bad. Your services may not have been for them, but if the user thought the experience was worthwhile they may recommend you to others. Overall you can think of your email marketing program as an active conversation with your list. Much like a conversation between two people, there's an exchange of ideas and a sincere investment in each other's interests. They speak to you with their email engagement and data information, and you respond by adjusting your messaging and content accordingly -not by blasting the same message over and over.